Revives ageing skin by stimulating collagen synthesis which is needed in order to reduce wrinkles and fine lines, especially on the facial area. Plumps up and boosts skin’s elasticity, minimize fine lines and crow’s feet, fades age spots, evokes natural glow. WOW Skin Science Anti Aging Night Cream’s potent formulation is powered by several supremely skin reviving bio-active ingredients. WOW Products is totally free of any harmful chemicals such as sulphates, parabens, mineral oils, propylene glycol, polysorbate. After using this product consumers will be happy to see the noticeable improvement in their skin, with a visible reduction in the signs of aging. 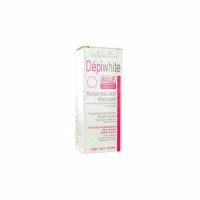 This is a supremely skin rejuvenating night cream formulated for reviving aging skin. It plumps up and boosts skin’s elasticity, minimizes fine lines and crow’s feet, fades away age spots and evokes a natural glow. Wow Skin Science Anti Aging Cream is loaded with clinically proven anti aging bio actives like Matrixyl 3000 peptides,which work by stimulating collagen synthesis which is needed in order to reduce fine lines and wrinkles and especially on the facial area. This product shows noticeable improvement within two months of use. 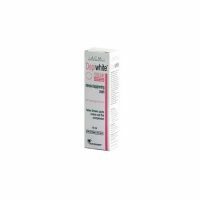 This is totally free of harmful sulphates, parabens, propylene glycol or mineral oils. This suits and give benefits to all skin types. COMPOSITION : WOW Anti Aging Night Cream is infused with Matrixyl 3000 Peptide, Hyaluronic Acid & Vitamin C & E. Other various ingredients are : Aloe leaf juice, Shea butter, olive oil and glycerine. Matrixyl 3000 Peptides: It boosts collagen levels and stimulates the process of skin repair and hence prevents skin aging. Hyaluronic Acid : This ingredient helps to increase the collagen production and enables the skin to hold moisture and hence to reduce wrinkles. Aloe Leaf Juice : This particular ingredient provides intense hydration to the skin and reduces the dryness , giving the skin a healthy , moisturized and hydrated feel. Shea Butter : An ingredient which provides essential fatty acids for deep moisturization of the skin. Olive Oil : It has amazing hydrating and anti bacterial properties. 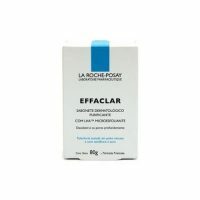 Vitamin C & E: Provides an even skin tone and helps fight pollution. Moisturizing, hydrating & rejuvenating the skin. 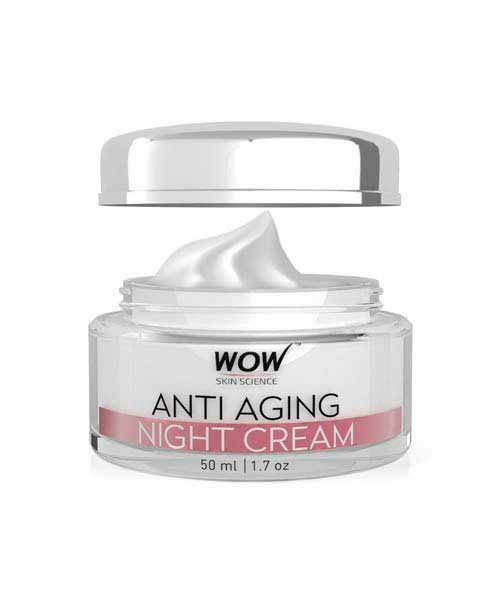 Wow Anti Aging Night Cream is ideal for all skin types and is effective for both men and women. Step 1: Take a small amount of WOW skin science anti aging night cream on palm. Step 2: Apply it on cleansed and toned face and neck. Step 3: Gently massage it using fingertips in a circular motion & let it sit overnight. Good product better than other products.